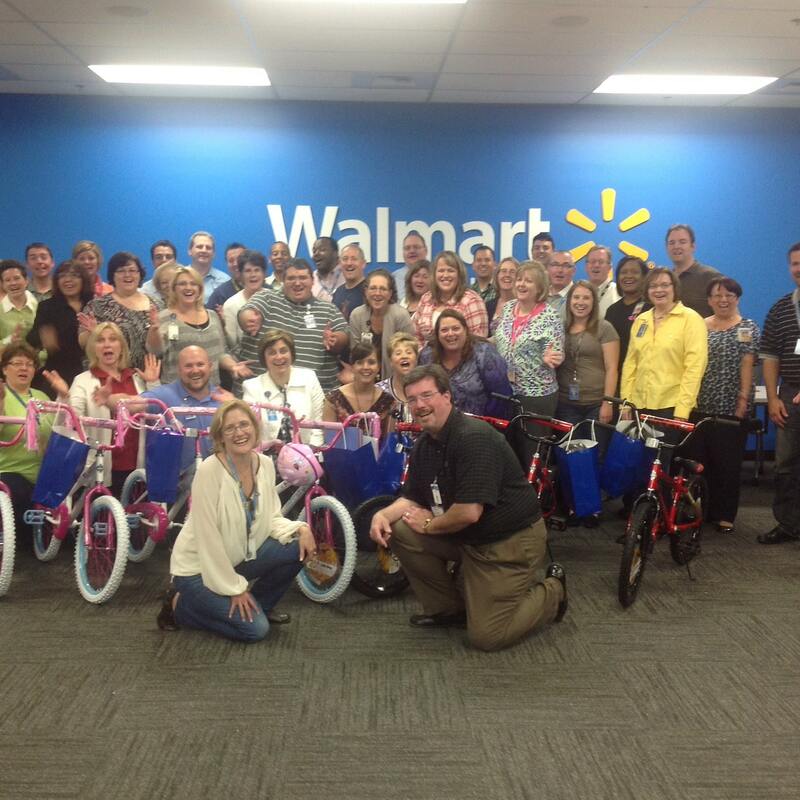 Walmart hosts Build-A-Bike ® team building event in Bentonville, Arkansas for 60 joyful employees. 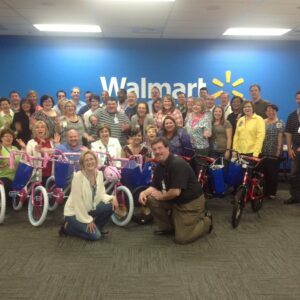 Walmart is the world’s largest retailer and was holding their annual summit at their headquarters in Bentonville, Arkansas for their Global Ethics Office. The purpose of the Global Ethics Office is to promote ownership of Walmart’s ethical culture to all stakeholders globally. Their goal is to raise awareness of Walmart’s statement of ethics, review allegations, oversee investigations and track and record historical data. The Build-A-Bike ® portion of the summit is where relationship building was the focus. Since there are several new people that are part of the team now, they want everyone to learn to work together globally and with better communication. The importance of working together as one team by supporting each other and having fun while doing that, were their main goals. The Global ethics team had associates attending from all around the global. The rest of the attendees were from the US office although, they have recently expanded and have a lot of new faces! They were excited for the opportunity to be in one place at the same time and build some bikes. The participants were not told before hand what they were going to be doing but were earger and ready to play along. When they learned they were building bikes for kids they were thrilled. They saw how competition undermines communication and laughed at how easily their competitive nature took over. They very enthusiastically participated in the cheering on of their comrades and worked together wonderfully to help everyone get their bikes built. They were sharing information with other teams to make sure everyone was getting what they needed. At the end of the day, the Global Ethics team came together to build 10 bikes that were donated to a local charity Mother to Mother of Northwest Arkansas. Mom’s and their kids arrived not quite knowing what it was all about but were quickly enthusiastic once they realized they would be getting brand new bikes! The room was bubbling with excitement as the participants were also surprised by the children coming to receive their bikes. It was a really fun afternoon, with a lot delightful surprises and happy people! The Global Ethics team really came together towards a common goal, recognized the challenges that may occur and then worked together to resolve them.